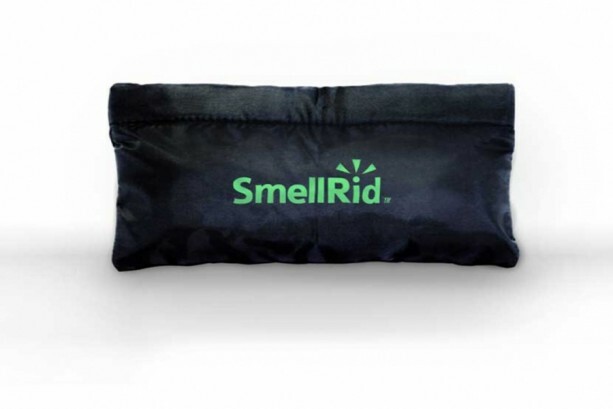 SMELLRID Reusable Activated Charcoal Odor Proof Bag: Small 6" x 11" Bag Keeps Smell Locked In! 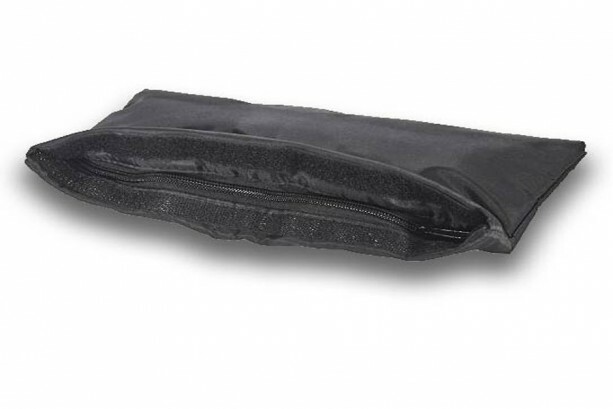 SMELLRID Reusable Activated Charcoal Odor Proof Bag: Small 6" x 11" Bag Keeps Smell Locked In! 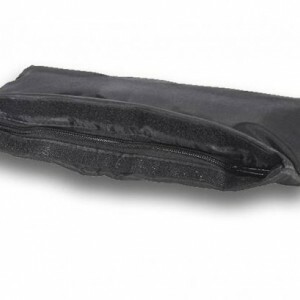 Summary SmellRid™ Reusable Activated Charcoal Odor Proof Bags are made of a sturdy water resistant polyester material with an activated inner charcoal lining that eliminates any odors emanating from stored items. Smells are absorbed at the molecular level for super effective odor control. 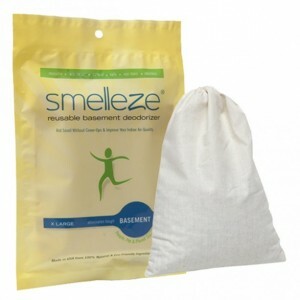 Features & Benefits • Activated charcoal lined bags eliminate odors for good! • 6"x11" size offers discrete odor-proofing storage • Keeps smell locked securely inside bag • Protects contents from exterior odor contamination • Convenient, reliable & quick Velcro closure SmellRid™ Small Activated Carbon Odor Proofing Bag SmellRid™ Small Activated Carbon Odor Proof Bags are made of a sturdy non-woven synthetic material impregnated with activated carbon lining, which provides superior odor proofing by absorbing odor molecules as they are outgassed from stored items. Furthermore, the bags protect stored items from outside odor contamination. 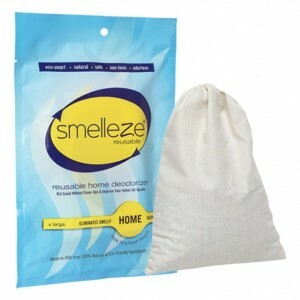 For odor blocking protection, nothing beats SmellRid™ Small Odor Proof Bags. Fresh items can be popped into a bag without any fear of odor contamination, even in the stinkiest situations. Fresh in—fresh out! 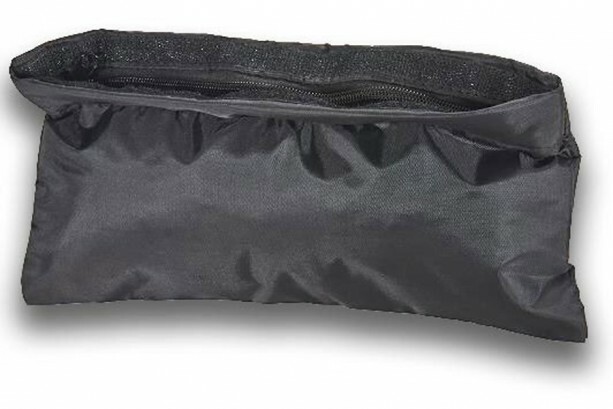 Convenient, Reliable, Highly Effective Odor Proofing & Protection Easily stowed for quick use, each SmellRid™ Small Activated Carbon Odor Proof Bag comes in a handy 6"x11" size that's perfect for your smaller smell-proof storage needs. At the beach, travelling, afternoon tailgating, weekend camping, or simply hanging out in the back yard, you'll be happy you have SmellRid™ on hand. Traveling can quickly turn the inside of your vehicle or hotel room into potent smelly environments. From carsick kids or pets to infant care, SmellRid™ can rescue your nose from the pungent odors of soiled items used to clean up the mess! 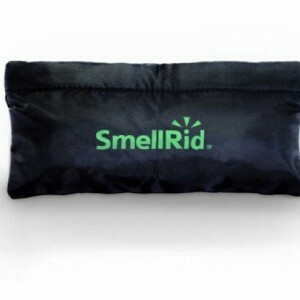 Reusable for Long Lasting Odor Control SmellRid™ Small Activated Carbon Odor Proof Bags are reusable and reactivate in direct sunlight, providing you with long lasting odor control. 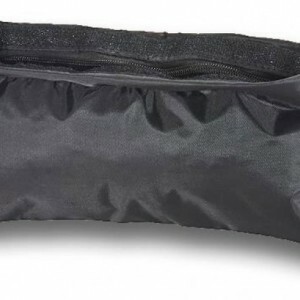 The 6"x11" compact size means that bags can be conveniently stowed in vehicles and boats, or with camping gear and other outdoor equipment until needed.